What is your typical knee-JERK reaction when things don’t go your way? Do some self-observation. 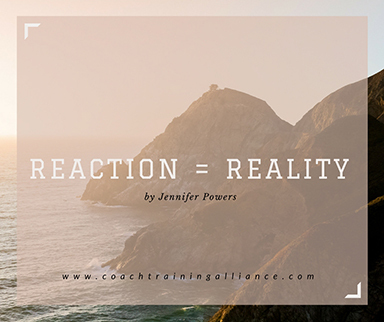 Observe your reactions and your results. Be with them. Critique them and examine how they currently define your life and business. Then ask yourself if they are getting you the results you want? If not, here’s what you do.